Zomaron is the preferred provider of merchant services for SmartCell Communications and offers preferential rates for accepting digital payments. Zomaron will match you with a solution that will help you lower your operational costs, save you thousands annually, and enhance your customer experience. Zomaron payment solutions are ready for your business. 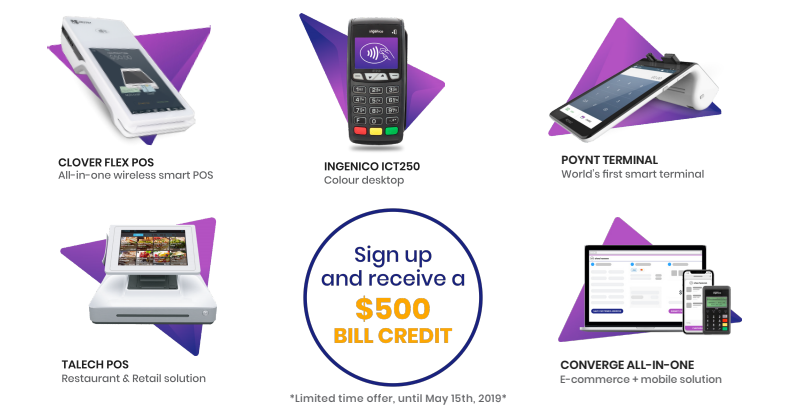 Plus, sign up and receive a $500 bill credit. This limited time offer is available until May 15, 2019. SIGN UP ONLINE TO GET STARTED!